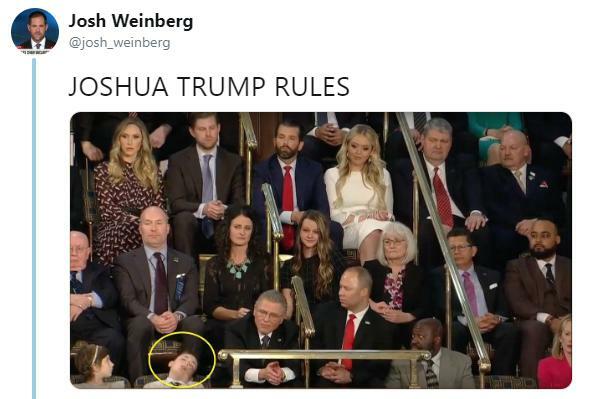 Joshua Trump, 11, captured the hearts and minds of Americans everywhere last night, just by taking a nap during a speech. One wouldn't think such a simple act would be enough to spark so much adulation across the internet, but I suspect it has a lot to do with the fact that, deep down inside, we all want to be able to do what we want, whenever we want. I can't remember the number of times I just wanted to just peace out of a sermon or a long-winded talk that was boring the ever-loving heck out of me. I'm sure you've found yourself in the exact same predicament. But you can't do anything about it because of "social etiquette" and "not embarrassing your family for the millionth time this week" or whatever. It's not as if you're trying to be defiant or hurt someone's feelings on purpose just to make them feel bad, but that you hate being obligated to pretend to enjoy something that is so clearly a waste of time. But the young man who was invited by Melania Trump to attend a State of the Union address after the child was bullied for his last name said, "No!" He took a stand for everyone of us out there who found themselves bored beyond belief in a hoity-toity social gathering. 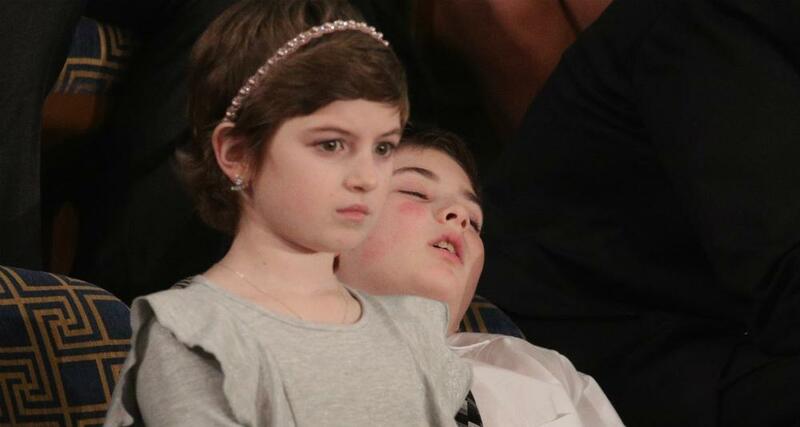 He went and zonked out during the President's speech, cameras and critics be damned. The little guy checked out and decided it was time to catch up on some z's right before Donald began going on about immigration and building a border wall. 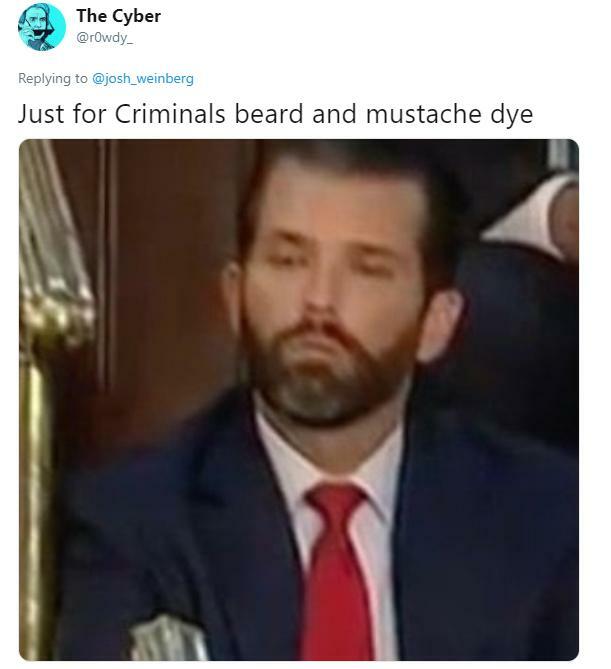 Understandably, a ton of people online were relating hard to Joshua's reaction. 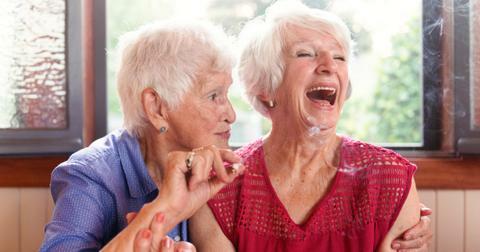 Who of us hasn't been stuck in an interminable meeting with no end in sight? Who hasn't felt the weight of leaden eyelids and forced themselves to battle sleep, tooth and nail, not yielding to its sweet embrace due to social ettiquette? 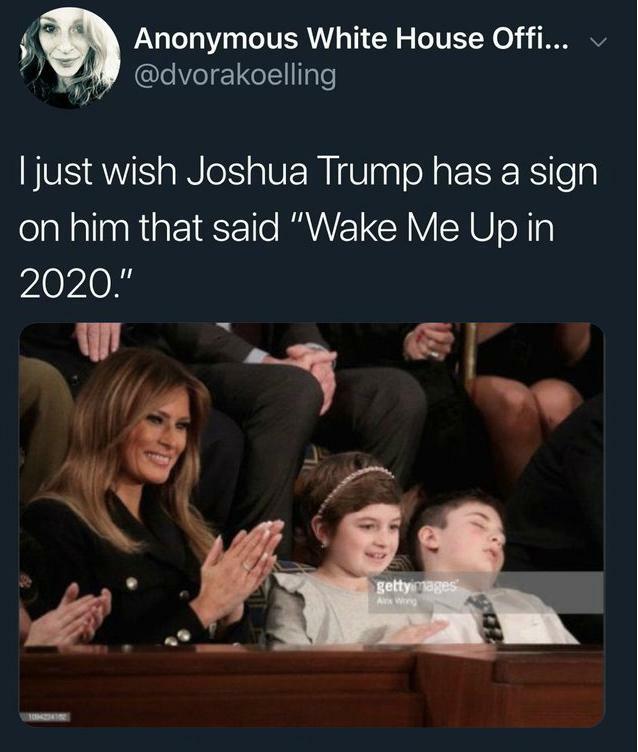 These are all problems that don't bother an I-do-what-I-want person like young Joshua Trump here, and people all over the internet are loving the fact that he took that Presidential invitation and truly made himself at home. 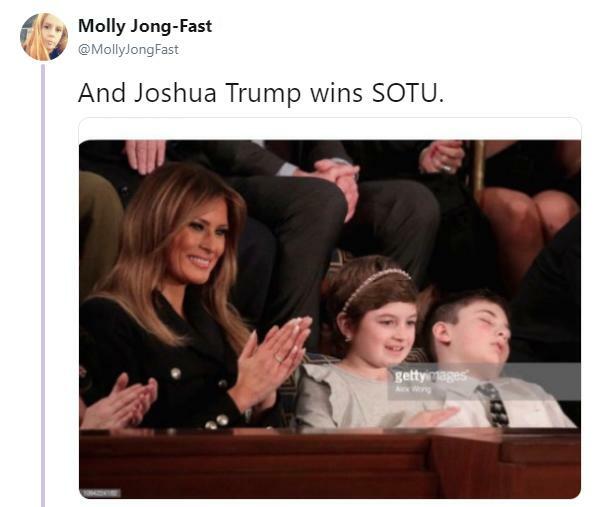 Joshua was one of thirteen guests who were asked to attend the State of the Union address. 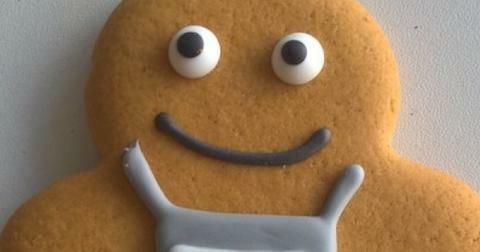 He was ridiculed so much at school for his last name, that he stopped using it entirely. He even considered being homeschooled, just to avoid the taunts and gibes that he received from classmates on a daily basis. And while there are some who might get upset at an 11-year-old for passing out from boredom during a Presidential speech, it's kind of hard to blame him. The State of the Union address was one of the longest in history - it clocked in at 82 minutes long. To put it in perspective, Christopher Nolan's first full-length feature film, Following, is 70 minutes long and I can promise you he told a way better story in a shorter amount of time than Donald Trump did. And while, as adults, the concept of a "bed time" has been blown to smithereens for us for quite some time, Joshua's a growing boy and needs his z's. 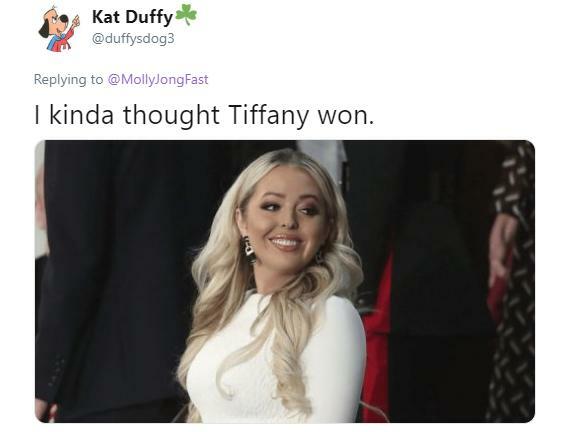 There were also a bunch of people who thought that Tiffany Trump might be "trolling" Donald with her choice to wear white that evening. 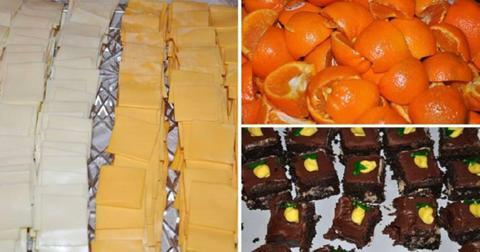 Others thought that Joshua had this planned for a very, very long time. Sleeping in front of the President is pretty much the hardest flex anyone can ever pull off. For an 11-year-old to do that? Man, I can't think of a better way of making sure you never get picked on in school again.